The expected transit time for your sample is 2-4 weeks from the date your sample is mailed. Your sample will be returned to our distribution center in Oss, Netherlands via local post and then forwarded in bulk to our laboratory located in Burlington, North Carolina via FedEx. Tracking information for your returned sample will only be available once it reaches the distribution center. It is not unusual for kits shipped on the same day to be received at the lab at different times. You will receive an email when our laboratory receives your kit and scans the kit barcode. If your order was shipped to the United States and you provided your sample from within the United States, visit our US Help Center. If your order was shipped to a country not already listed, please visit our International Help Centre. Important: If the laboratory receives an unregistered sample, the kit barcode and registration instructions will be sent to the email address associated with the order. 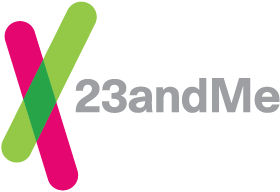 The sample collection tube can be registered at https://www.23andme.com/start.